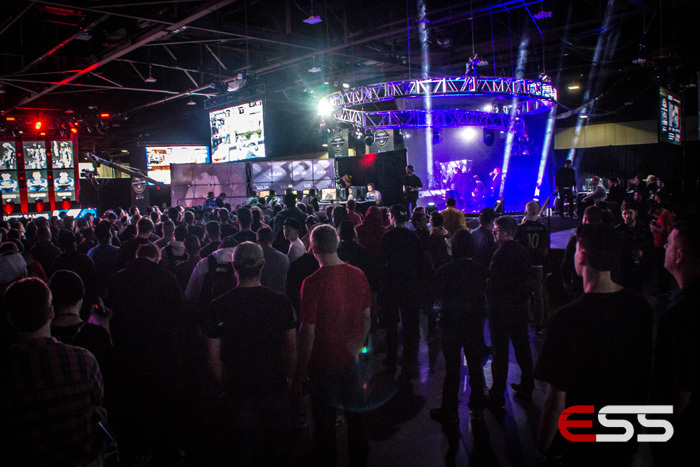 Welcome to Day Two of the North American Promotion Tournament for the League of Legends Championship Series. 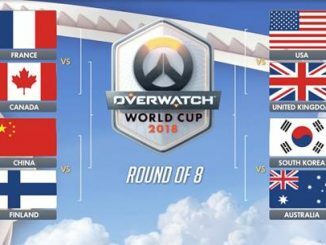 I’ll be bringing you play-by-play of the remainder of the tournament’s matches. The live blog should auto refresh right before your eyes, but feel free to refresh the page yourself for the latest updates. 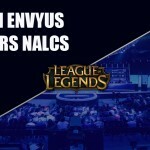 The tournament, held at LCS Studios in Los Angeles, California, consists of the 3 lowest placed LCS teams and the 2 highest placed Challenger teams throughout the Spring Split. 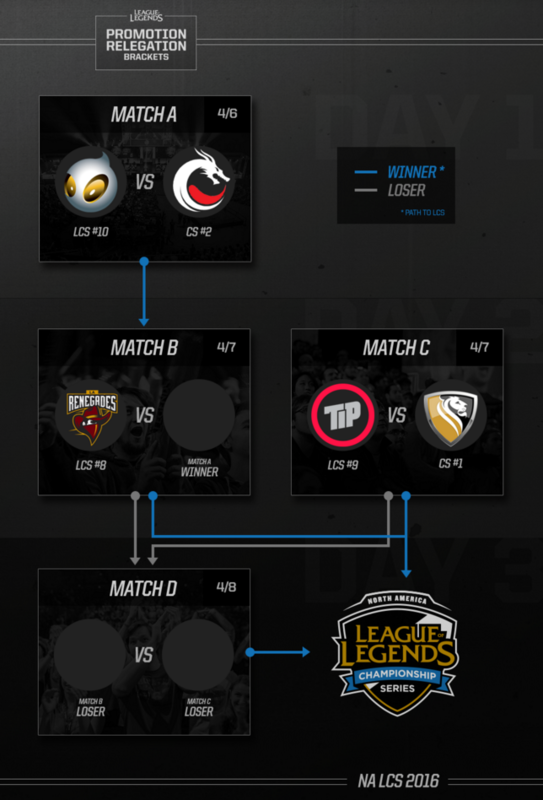 The 5 teams will battle it out to gain entry to the LCS Summer Split. 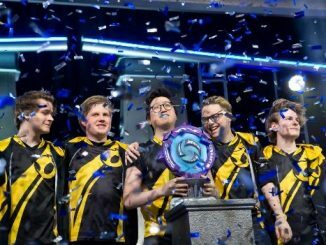 Team Dragon Knights, who finished 2nd in the Challenger series, will be hoping to replicate the same performance they displayed yesterday against LCS team Dignitas. The 3-0 victory by TDK over Dignitas, eliminated the former LCS team from the Promotion tournament and ultimately knocked them out of the LCS Summer Split. The later game, starting after the Renegades v TDK match, sees the top Challenger seed Apex face off against Team Impulse. The winner of both games will guarantee themselves a spot in the LCS Summer split, whilst the losers will face each other tomorrow to see who will grab the last LCS spot. Here we go then, Day 2 is about to start. The first game of the day involves Renegades (Blue side start) and Team Dragon Knights (Red side start). 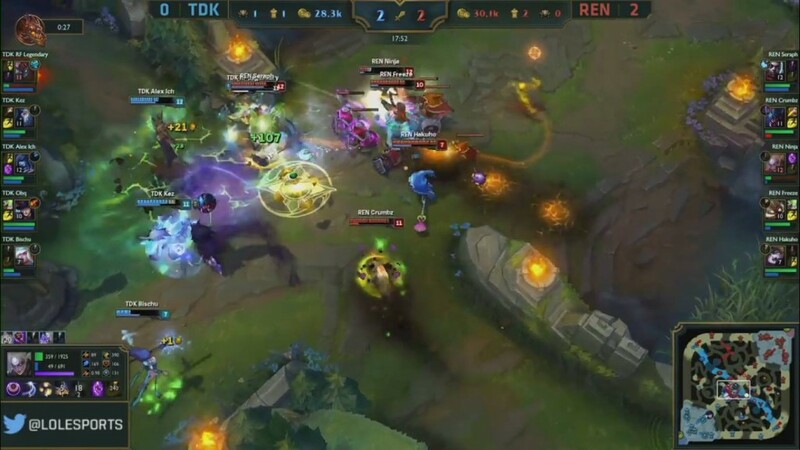 TDK, who won yesterday against Team Dignitas, will be hoping to carry on the momentum gained but will have to overcome a resurgent Renegades, who won 5 of their last 7 games in the LCS. Picks and bans to come shortly. Renegade Bans: Poppy, Azir, Janna. TDK Bans: Lulu, Graves, Kindred. Here we go, the game is underway. 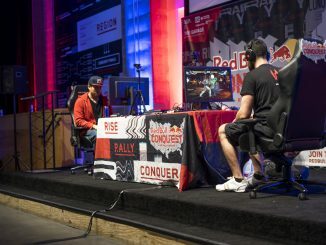 Renegades are on the blue side, TDK on the red side. Renegades jungler Crumbz on Gragas misses his bodyslam on Gromp, so then has to flash back over the wall to smite it. Twitch chat goes wild. Casters are slightly confused. CrumbZ kills Kez in TDK’s jungle. Nobody will remember that early mistake anymore, will they? No, they definitely will. Crumbz and Seraph bait Kez into a fight in top lane. Ninja and his Ekko secure the kill onto Kez. Flarez who is on Ryze this game in the top lane, get caught out in the top lane by Crumbz and Seraph, A 4-0 lead now for Renegades. An impressive performance. Now Ninja in the midlane, playing Ekko, 1v1’s Alex ich’s Karma. Things going from bad to worse for TDK. Crumbz is everywhere this game, him and Ninja catch Karma again. 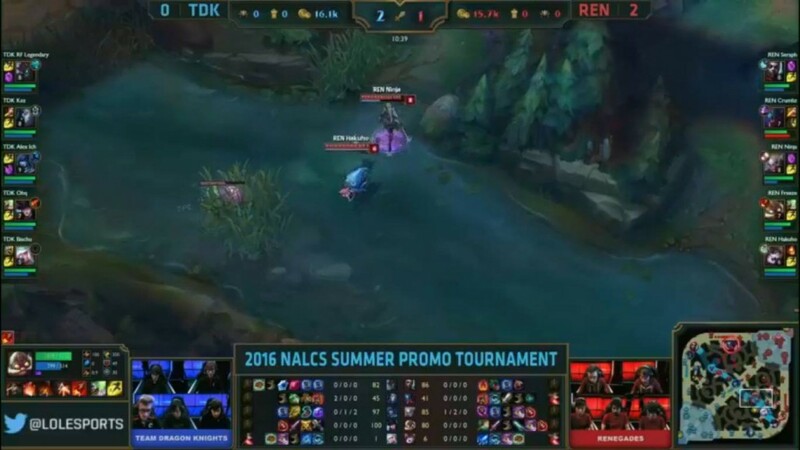 Kez responds with a gank bot on Renegades ADC Freeze. And breath…what a hectic start to the game. A super impressive early game by Renegades – who continue to carry on their form that saw them winning 5 of their last 7 games in the LCS. Renegades have already taken all of TDK’s tier 2 towers. Renegades: 6 Towers, 37K gold, 6 kills, 1 Dragon. TDK: 2 Towers, 28.7K gold, 1 kill, 0 Dragons. The fast paced early game has slowed down in the last couple of minutes. Renegades take their 2nd dragon of the game without contest. Ninja solos Flarez in the bottom lane and distracts TDK’s bottom lane whilst his team takes Baron. Renegades will look to push in and win here. 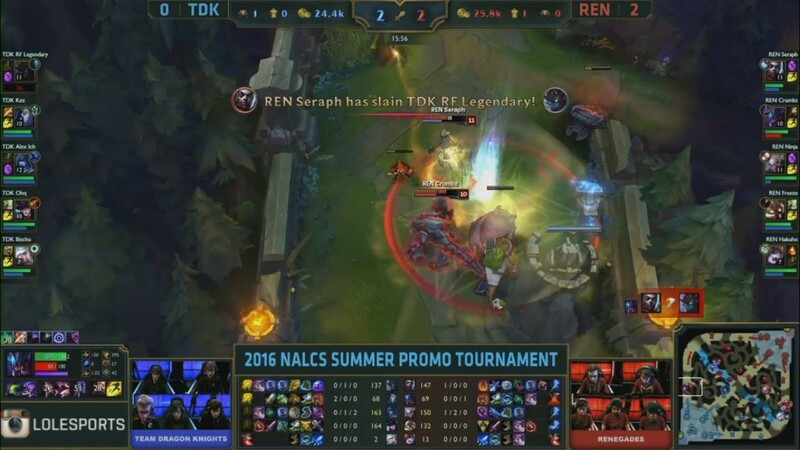 A desperate and failed engage by TDK inside their base allows Renegades to clean up and win game one. Renegades looked unstoppable in Game one. It’ll be interesting to see what TDK bans out in our next game. Surely the Ekko must be a priority ban? Renegades: 11 towers, 55.3K gold, 10 kills, 1 baron. TDK: 2 Towers, 39.9K gold, 3 kills, 0 dragons, 0 barons. 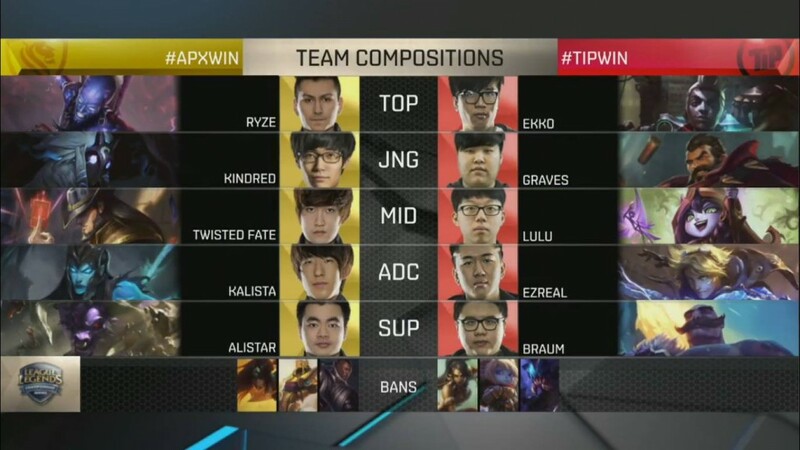 Game 2’s pick and bans to come shortly. TDK switching it up before Game. Bischu comes in to support, replacing Trance. Renegade Bans: Poppy, Elise, Ekko. TDK Bans: Lulu, Graves, Jayce. An interesting pick and ban phase. 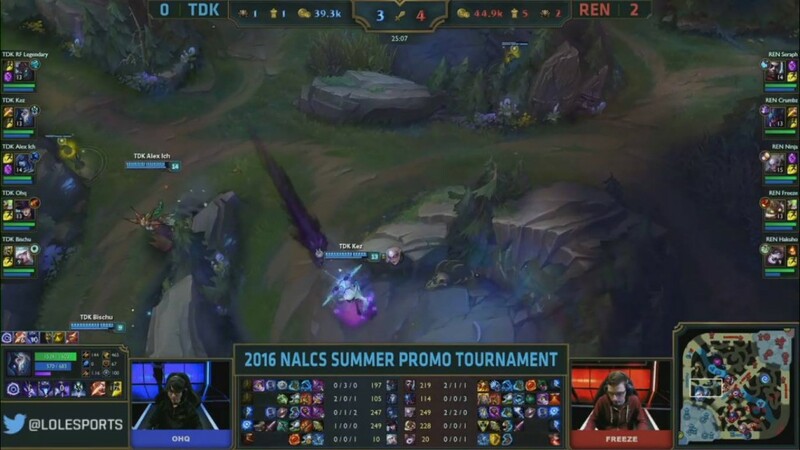 Renegades team comp worked so well – yet they banned out the Ekko that punished TDK. Then, with Nidalee still unbanned, TDK take Zac in the jungle instead. 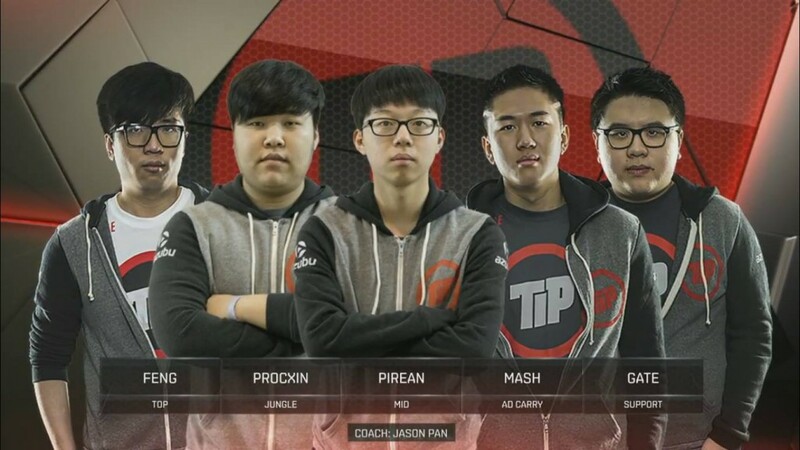 TDK obviously looked to counter pick every champion in the ban phase. Uneventful start so far. 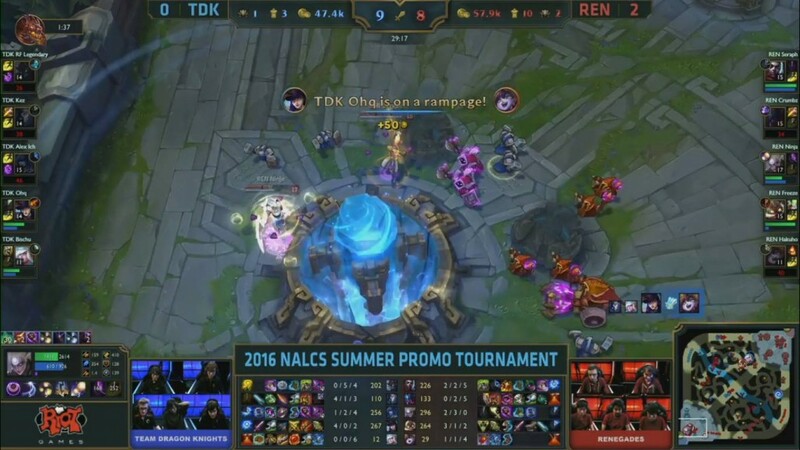 Renegades take down TDK’s top turret, TDK take Renegades bottom turret. 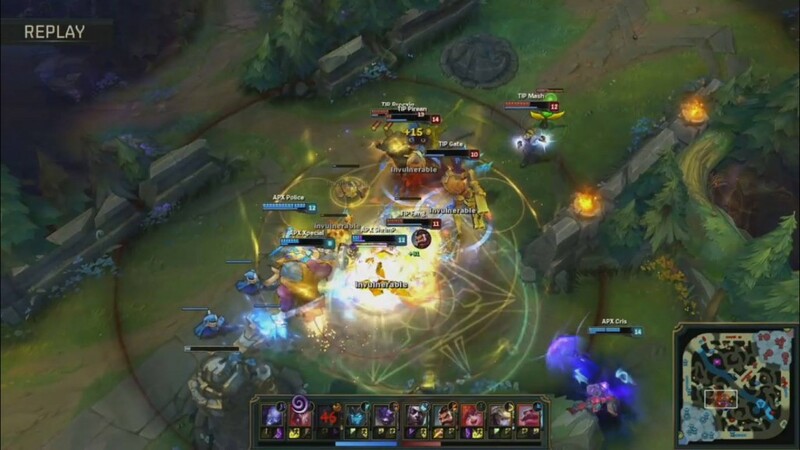 FIRST BLOOD – Seraph’s Ryze gets first blood thanks to a gank by Crumbz. Early advantage for Renegades. Crumbz and Seraph combine again to take out Flaresz, whose now 0/2/0 on this Gragas. 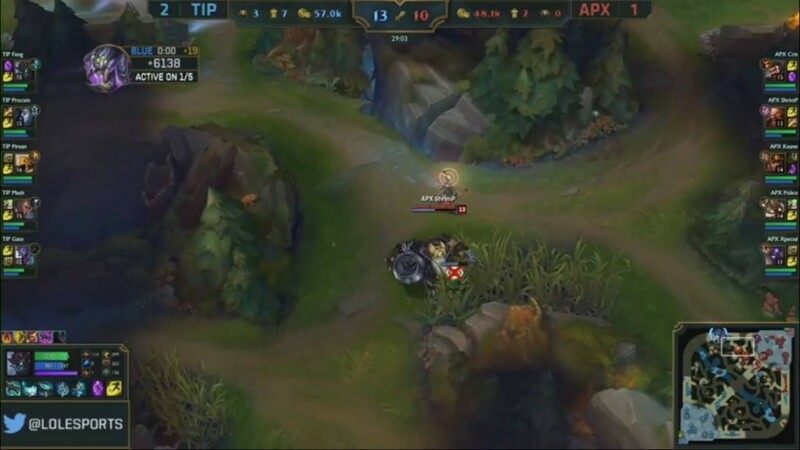 Seraph is now 20 CS and a kill up in his top lane matchup on the late scaling Ryze. Ninja takes down Alex ich in the midlane with help from Seraph. Kez’s Zac uneffective so far, and this looks far too similar to Game one. Renegades running away with Game two as it stands. They have a 2k gold lead. 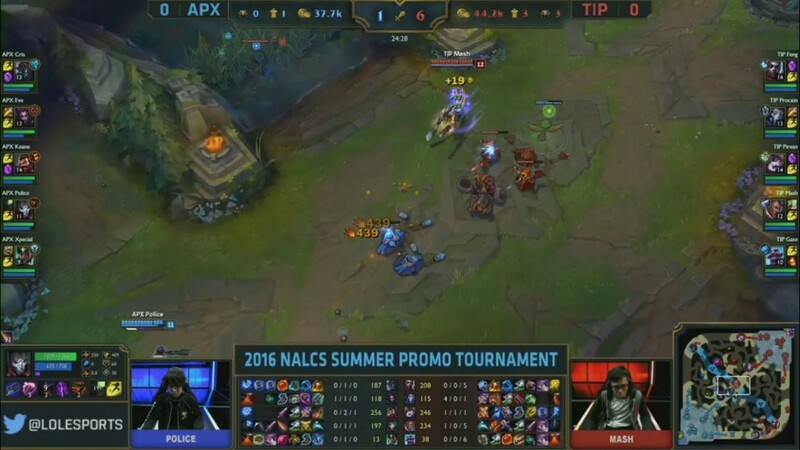 Kez finally makes his first move on Zac, but it results in a Seraph kill on Alex ich under the mid lane turret. An overextension by Seraph sees both him and Freeze being picked off by TDK, gifting them a way back into this game. Crumbz responds with 2 kills of his own, but then Bard goes down for Renegades. Hectic stuff. 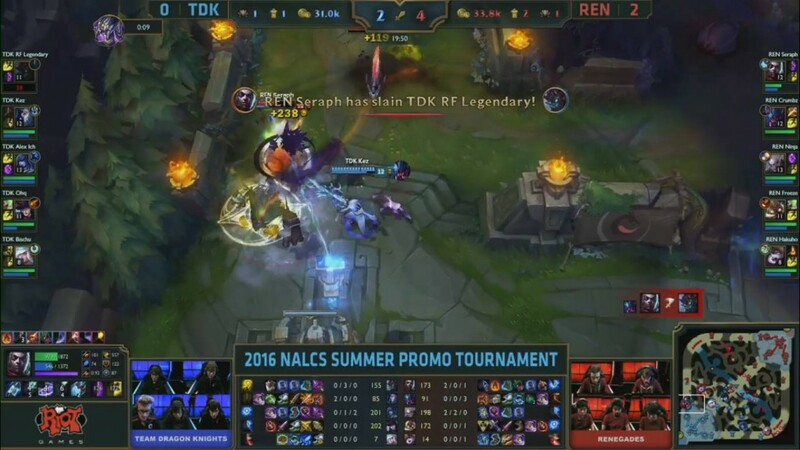 TDK and Renegades trade kills under TDK’s mid tier 2 turret. Renegades: 2 Dragons, 3 Towers, 37.1k gold, 7 kills. TDK: 0 Dragons, 2 Towers, 33.5k gold, 6 kills. Freeze gets exploded under TDK’s 2nd tier bottom turret as the 2 teams group. TDK 3k gold behind but looking dangerous. 7-7 on kills now. Solo kill for Seraph on Flaresz. Flaresz now 0/5. A massive fight in mid lane. Crumbz gets caught out but Renegades collapse – Ninja assasinates Alex ich on Velkoz and it results in Renegades winning the teamfight. Renegades now have a 10K gold lead. 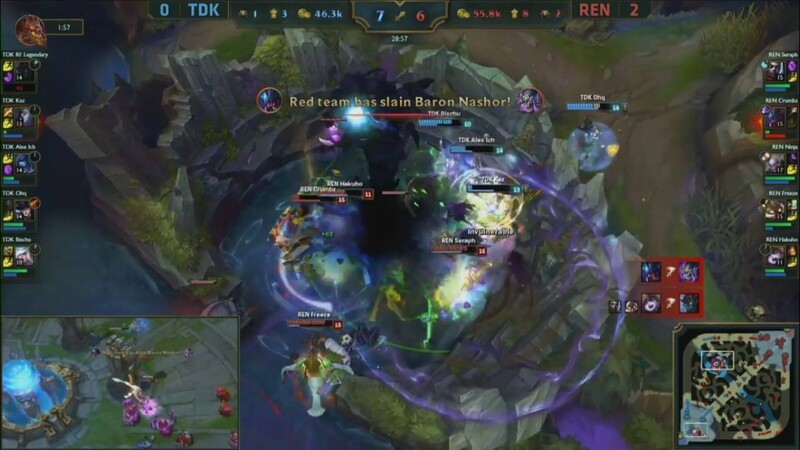 Baron secured by Crumbz and Renegades. They’ll recall and surely push for the win here. TDK have to do something as Renegades continue to knock at the door of their base. They do, and it’s just not enough. Alex ich gets an early kill, but the follow-up power is just not enough for TDK. Renegades push through and take the inhibitors. Renegades are now just one win away from making it back into the LCS. The top lane jungle synergy from Crumbz and Seraph is just too much for TDK. TDK have to dust themselves off heading into Game 3. 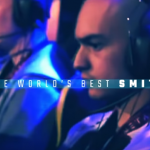 They look completely devoid of any sort of confidence gained from their impressive 3-0 win over Dignitas yesterday. Picks and bans will be with us shortly. Flaresz, who was certainly on tilt last game has been substituted for RF Legendary in the top lane. TDK actually come out in top in the champion select going into Game 3. 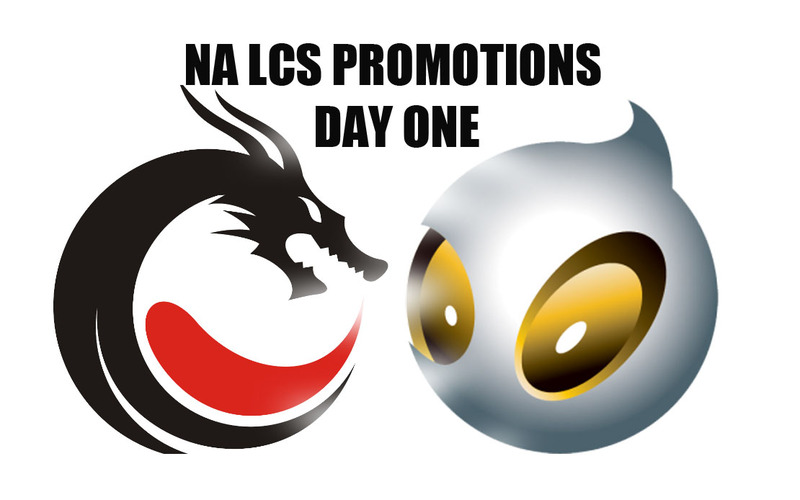 They’ve picked Maokai and Lissandra, a combination that saw them beat Dignitas yesterday. Ninja picks up first blood onto Alex ich and Crumbz manages to clean up. Ninja comes back to lane from dying, along with Alex ich, and Crumbz targets the lane again. Resulting in an immediate death for Ninja. Fast start for TDK. These are the stats 10 minutes into the game. It’s been a good start by TDK. 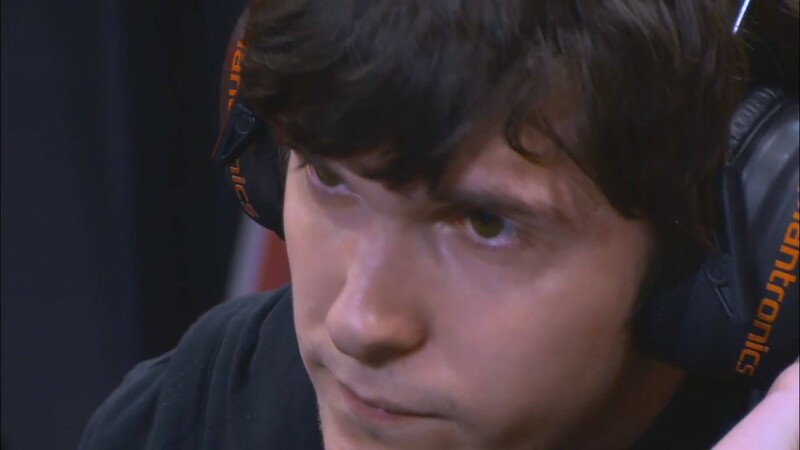 An overextension by RF Legendary sees Seraph take the kill with help from Crumbz. A fight explodes in the midlane. RF Legendary goes down early – they take a dragon and take back control of this game. The sub that TDK made hasn’t worked out for them. RF Legendary again finds himself dead. 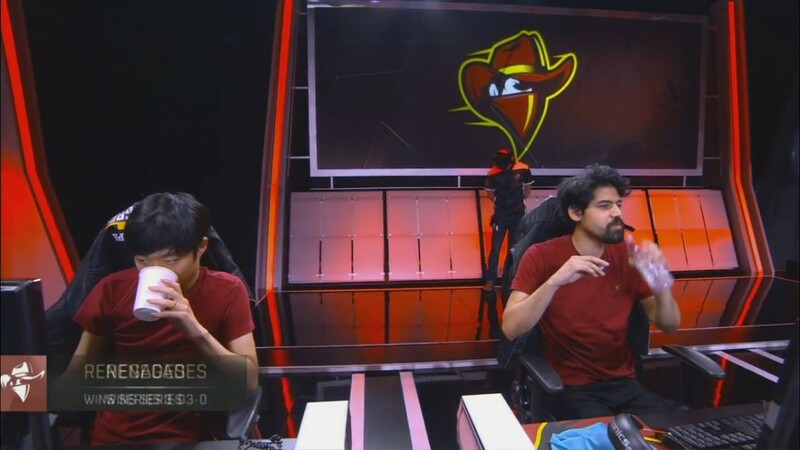 The Seraph and Crumbz combo has been unstoppable – either of them are the MVP’s of this series if Renegades go on to win. Here’s your 25minute update. Renegades have a 5k gold lead. NO! TDK do not complete the Baron. They walk away and then go back to a Baron dance – it’s the wrong decision. 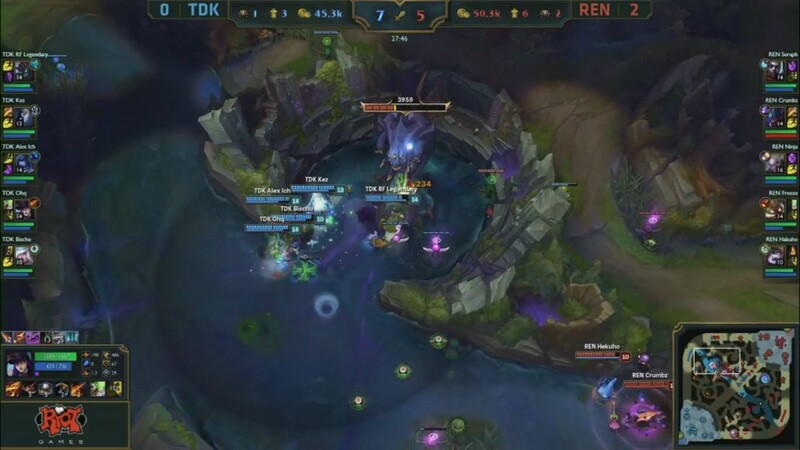 Ninja continues to push bottom lane and the rest of Renegades clean up at Baron. Renegades have done it. 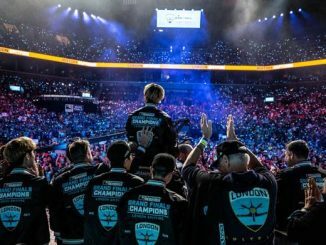 They’ve qualified for the LCS Summer Split with a commanding 3-0 against a TDK team that couldn’t handle the combination of Crumbz and Seraph. 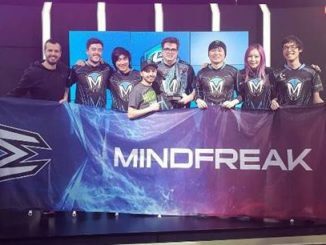 Crumbz and the rest of the Renegades team put in a hell of a performance in this series – but I’d have to give the MVP to Seraph. He put impressive numbers in all 3 games – forcing TDK to make a substitution in Game 3. 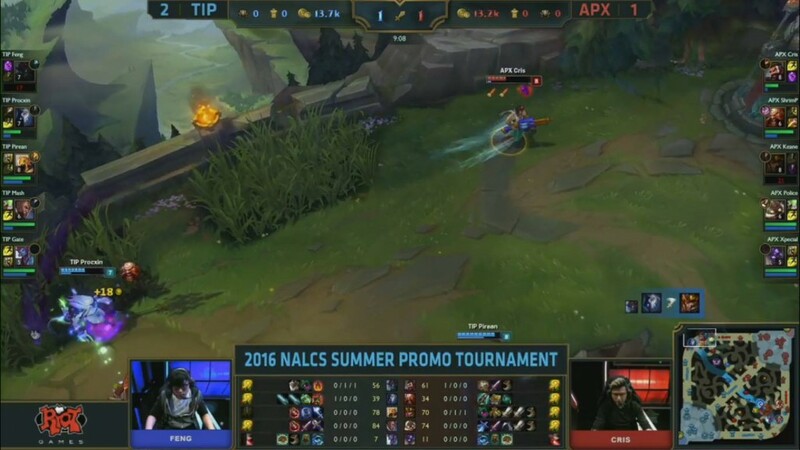 Alex ich and TDK will face the loser of TIP v Apex for a chance to make it into the LCS tomorrow. And this game starts in less than a minutes time. The winner of this will guarantee themselves a spot in the LCS Summer Split. The loser will face Alex ich and TDK tomorrow. 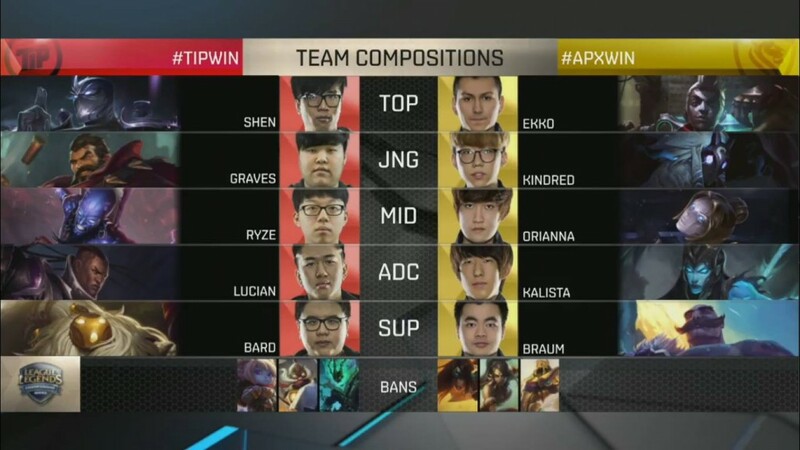 As we approach the pick and bans, lets look at the starting lineup for each team. 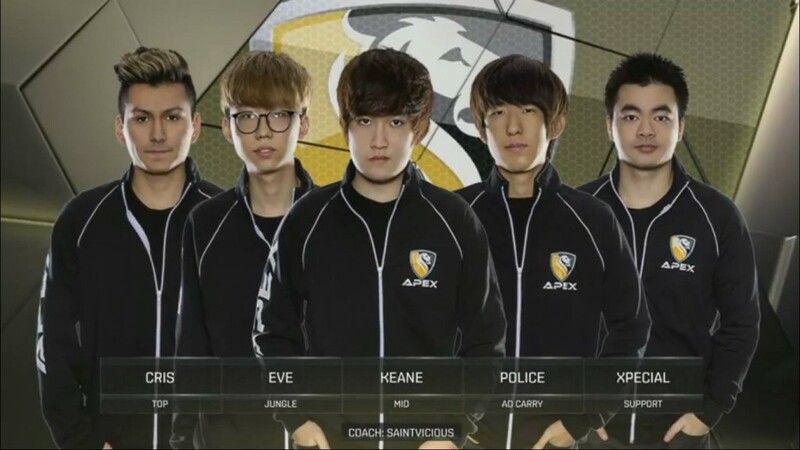 First, the Challenger team, Apex. 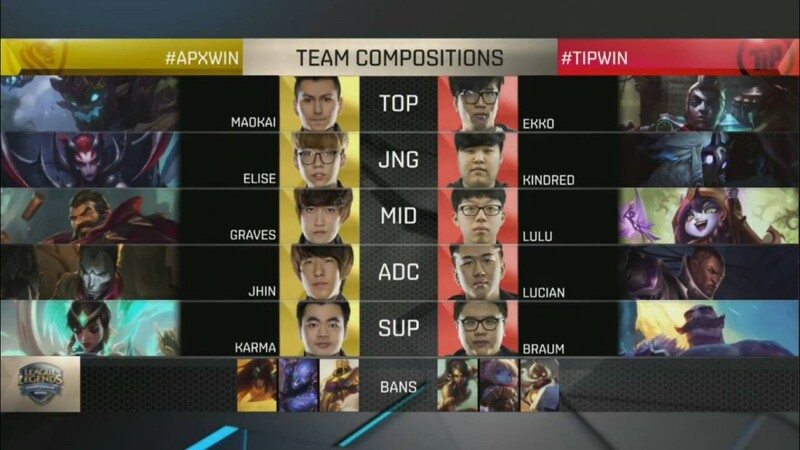 Now their opponent, and LCS team, TIP. 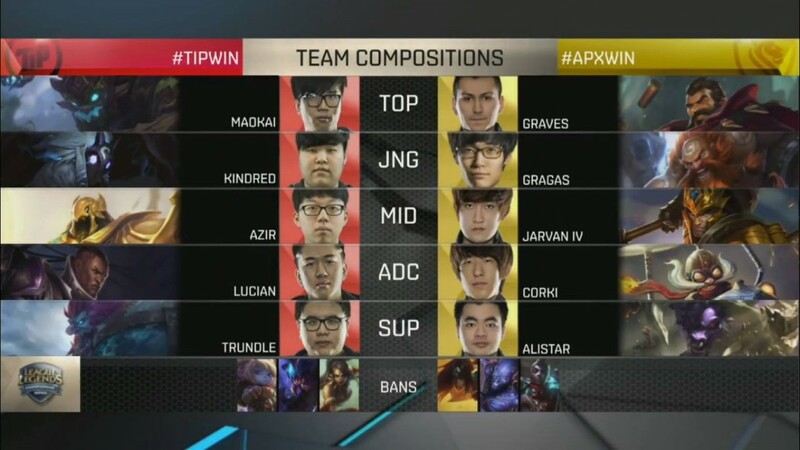 Here we go, Game 1 of Apex vs TIP is now underway. 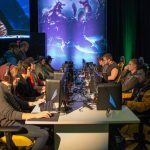 Here are your picks and bans. 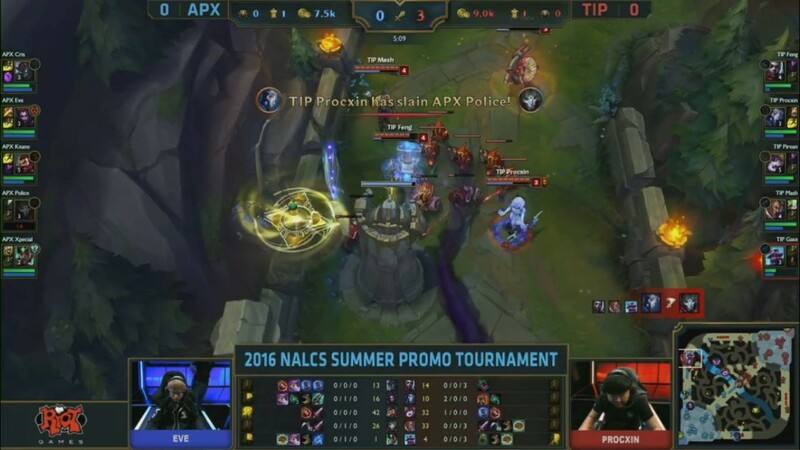 Quick reactionary play by TiP sees them take an early 3 kill start over #1 Challenger seed Team Apex. Bright start by the LCS team. The game has slowed down since the early 3 kills. Here’s an update at 10mins as TiP take dragon. As soon as I say that, a fight erupts in mid lane. 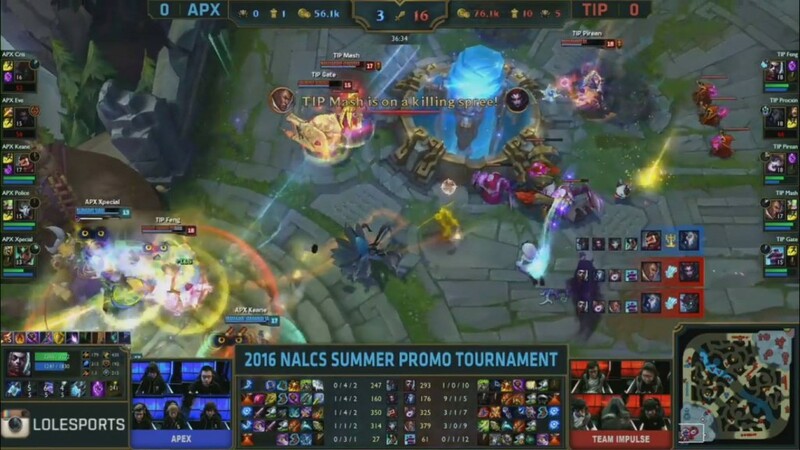 TiP’s Lulu is caught out by Apex but the rest of the team collapses. Each team loses a member in a scrappy skirmish. TiP controlling this game. 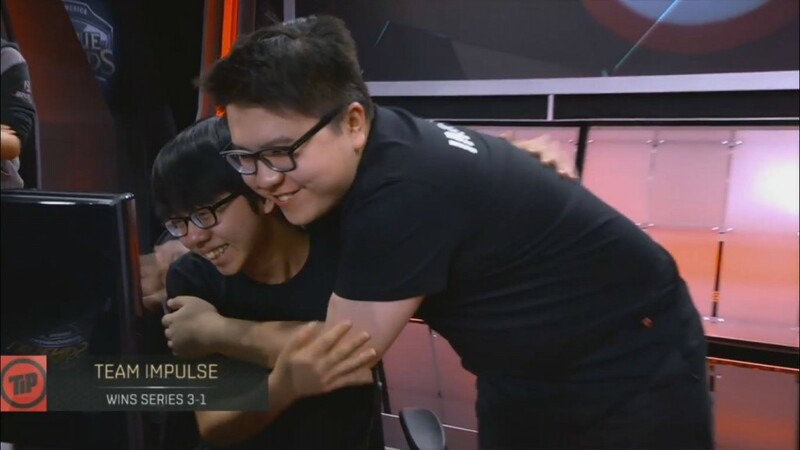 They take mid lane, catch out Keane’s Graves and then take Dragon. TiP looking strong. Procxin now on a rampage. Slow and methodical for TiP, they’re starving Apex of gold income. Here is the stats at the moment. TiP secure baron. 3 members get over the back of the Baron pit and slay the Baron. Apex had no vision and certainly wasn’t expecting that. The Baron buff causes turrets to fall all over the map in TiP’s favour. Dragon 4 taken for TiP. 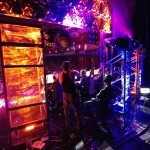 They continue to pick off members of Apex and are now closing in on the inhibitor towers. This game is close to being over, Apex do not have an answer. 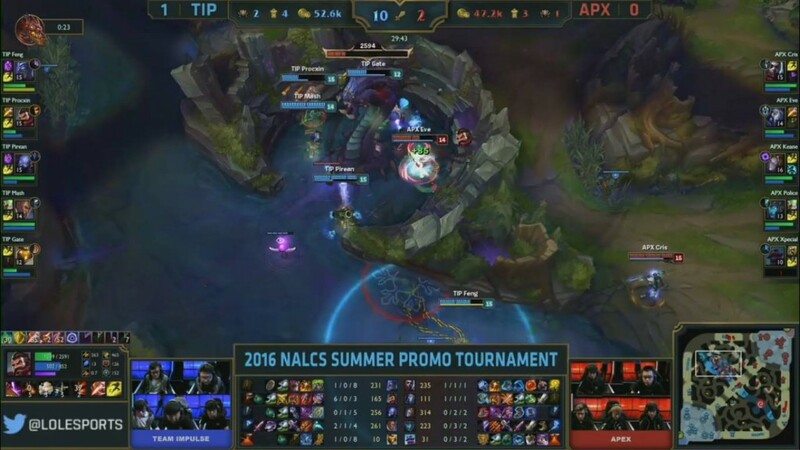 TiP finally end the game after toying with Apex for the last 5 minutes, securing Baron and Dragon 5 in the process. A statement of a performance by TiP – a landslide victory. Can Apex bounce back from that Game 1 defeat? Picks and bans coming shortly. 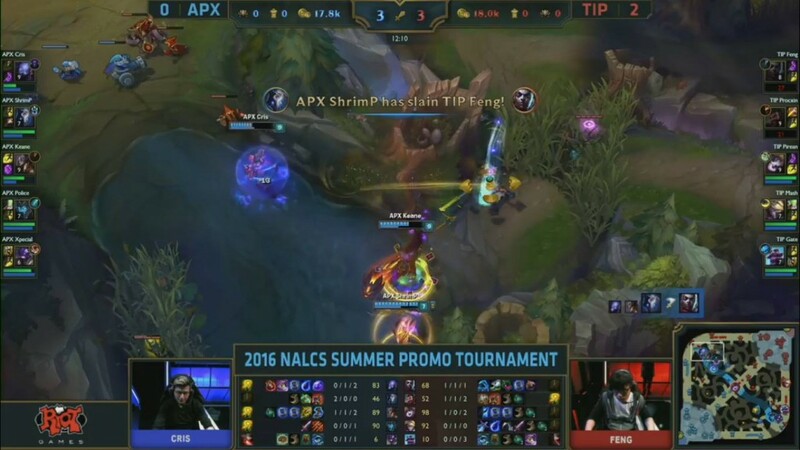 Apex will be hoping TiP’s Procxin will not have as much success in Game 2 as he did in Game 1, going 9/1/5 as Kindred. A slow start for both teams here. CS is rather even across the board too. Apex will be happy with this following last games defeat. Finally, some action. 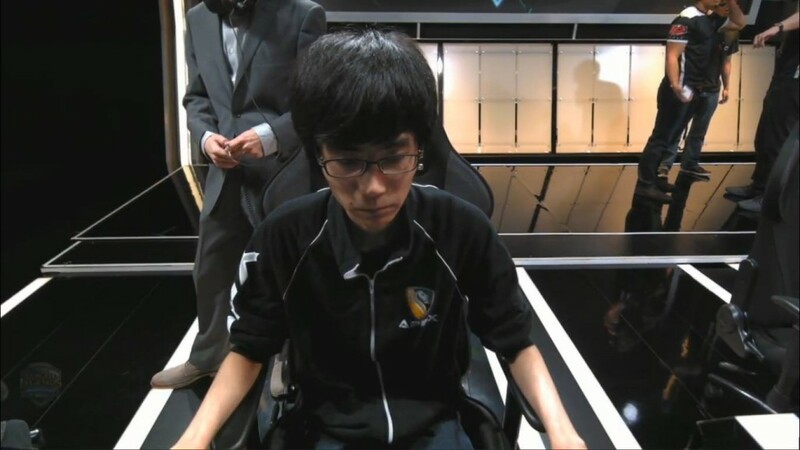 A gank bot lane by MVP of last game, Procxin, catches out Police’s Kalista. TiP then take dragon afterwards. 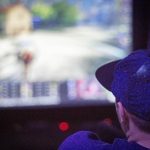 Advantage TiP – but the game is still rather even. 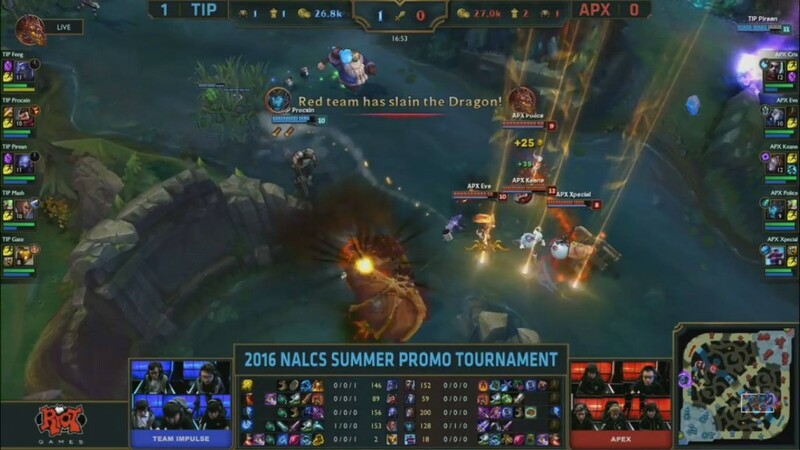 Apex take dragon…but then nearly get aced in the ensuing team fight! Disaster for Apex, after what looked like a very calm and controlled start. 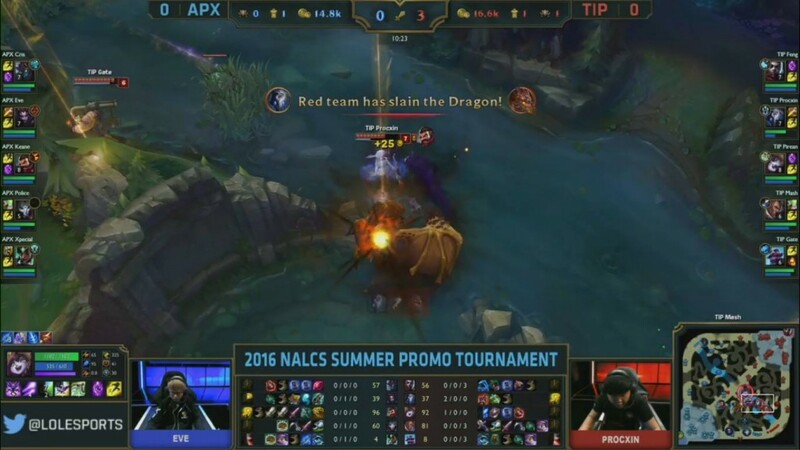 That dragon team fight was huge for TiP, and they now hold a 3k gold lead at the 20-minute mark. 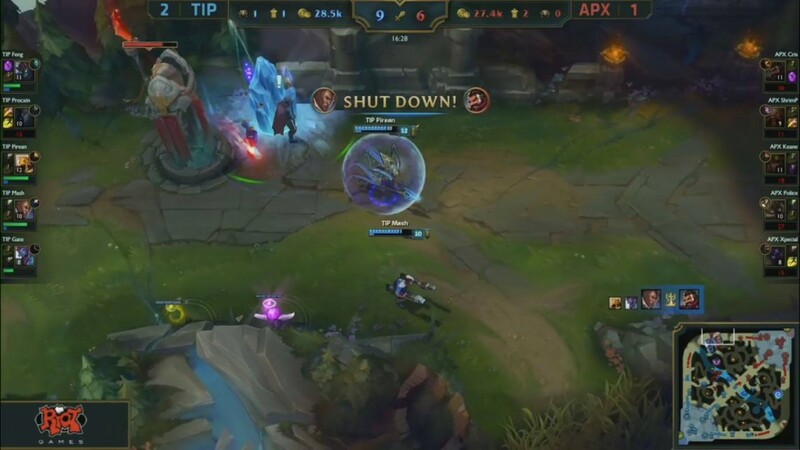 A scruffy 1-0 team fight in favour for TiP in the mid lane sees them take their 2nd dragon of the game and extend their gold lead to nearly 4K. 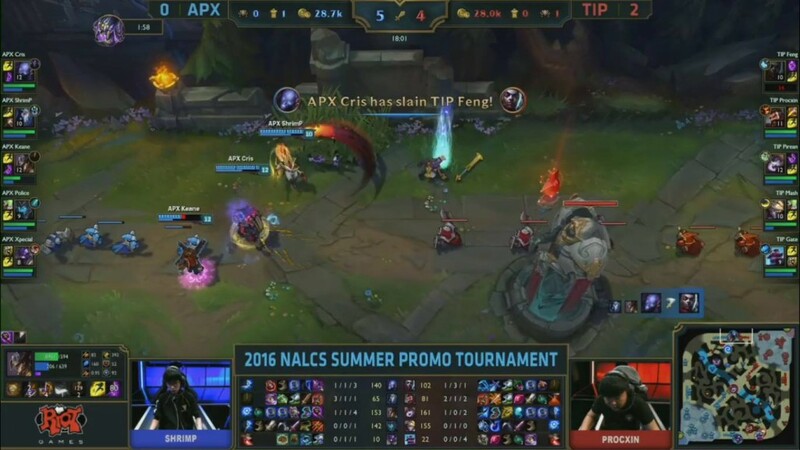 After catching out Xpecial, TiP force Baron. Eve, who tries to steal the baron, jumps in far too early and dies. 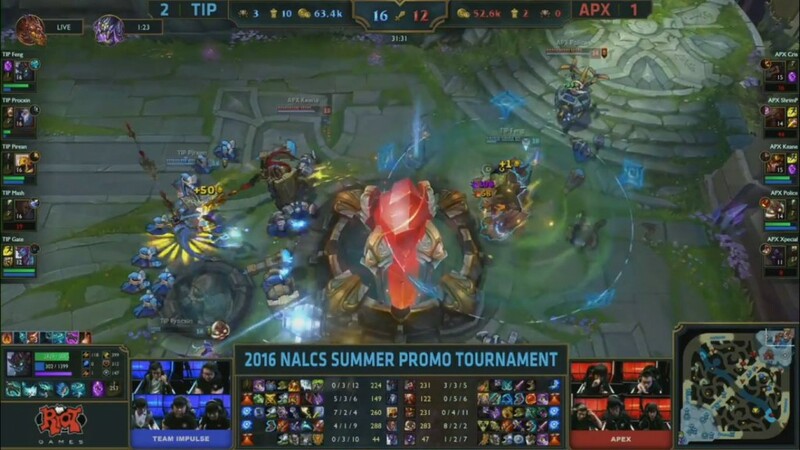 TiP grab the Baron, ace Apex, and take the win to lead the series 2-0. Procxin yet again goes huge in the jungle, going 8/0/6 on Graves. 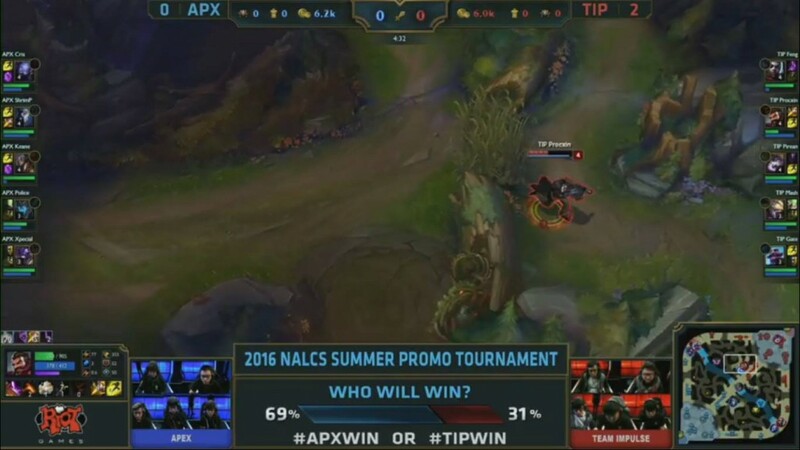 TiP need to win one more game to solidify their place in the LCS Summer Split. Apex make a substitution. Shrimp comes in for Eve in the jungle.Can he help Apex towards a reverse sweep? 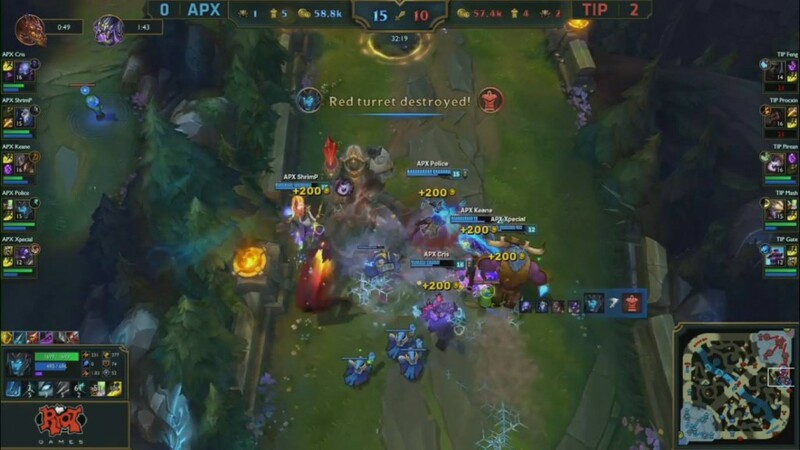 Apex’s fans and the League of Legends community still believing the #1 Challenger team, Apex, can pull off a reverse sweep here. A fight commences top when Apex 4 man tower dive Mash and Gate. The dive works, with substitute Shrimp taking first blood. 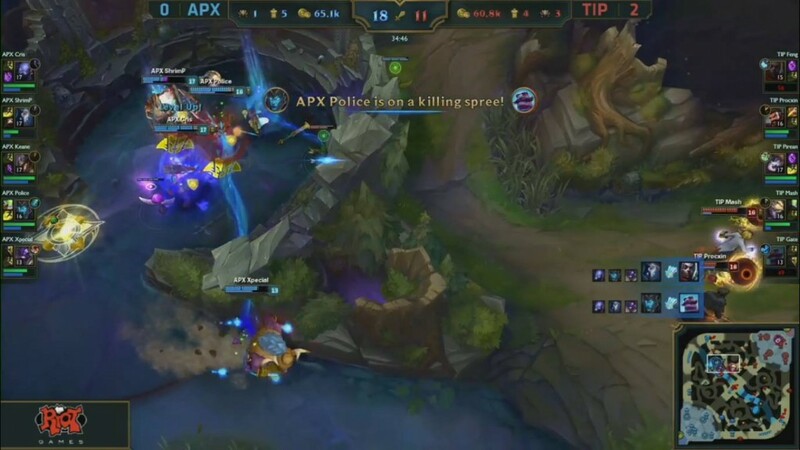 The tide turns though when Procxin and the remaining TiP members collapse on Apex, resulting in 3 kills for the team on the verge of returning to the LCS. If at first you don’t succeed? Try and try again. 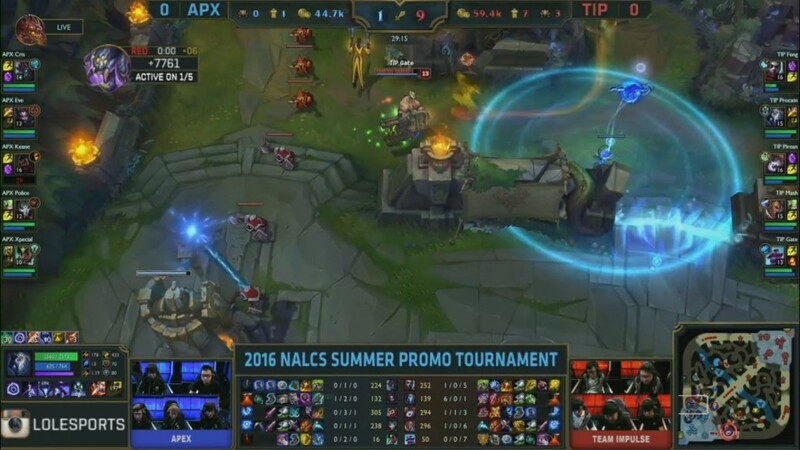 Apex again focus the top lane and this time they reap the rewards, securing 2 kills. This is Apex’s best performance, by far. They’re no longer reactionary and are dictating the tempo of this game. 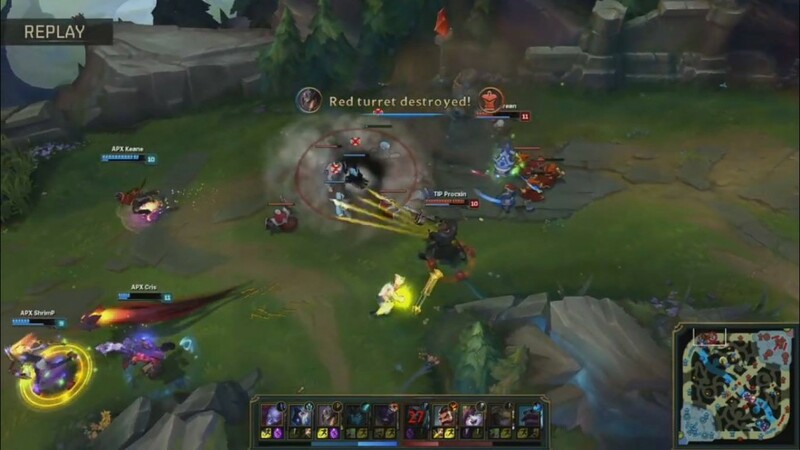 They again focus the Ekko in the top lane, securing a kill and a tower. Feng’s being bullied this game. 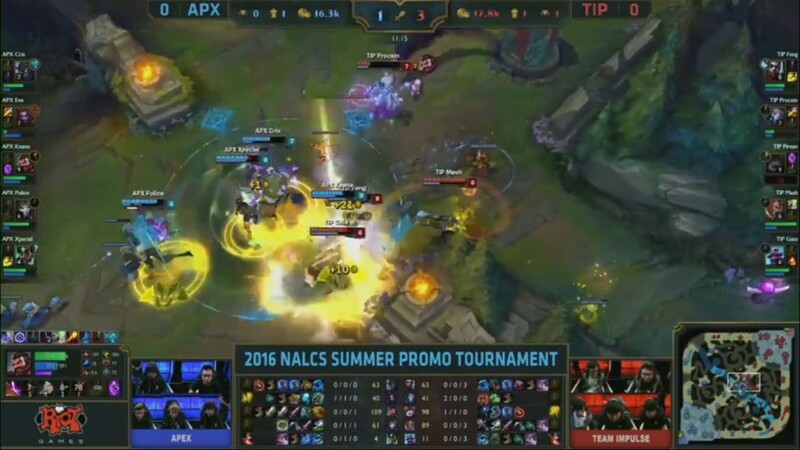 Apex yet again target the Ekko and succeed. A huge fight erupts in the mid lane. The fight saw both teams trade 4v4, although TiP were able to take the middle tier 2 tower. 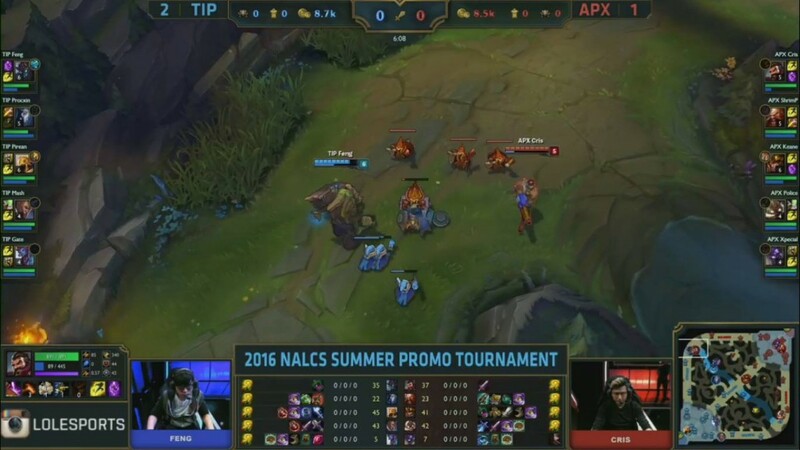 Apex get caught out in mid lane, and that could potentially cost them the game and the series. 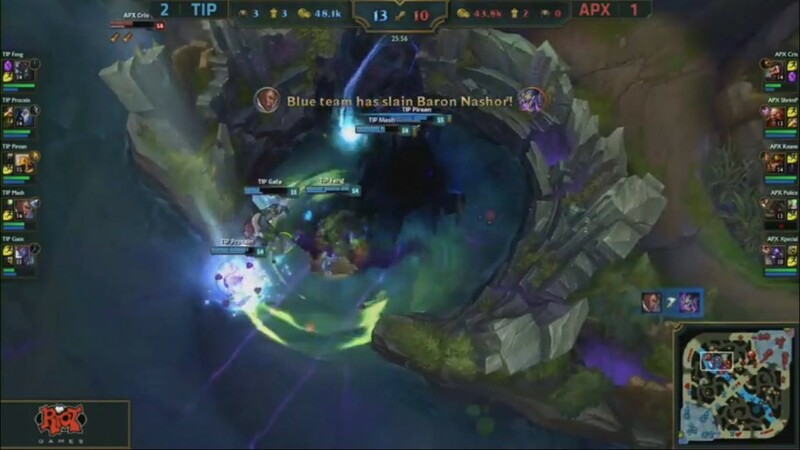 TiP kill 3 of Apex’s members and push on to grab Baron. 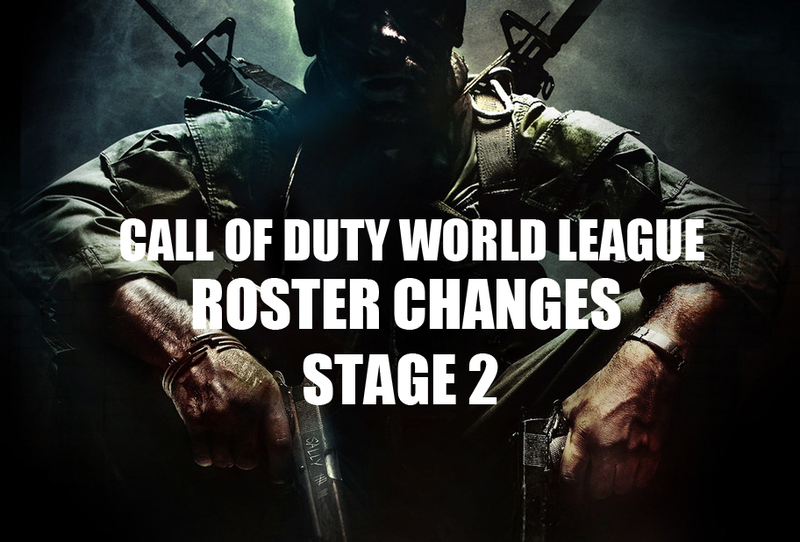 Game changing. 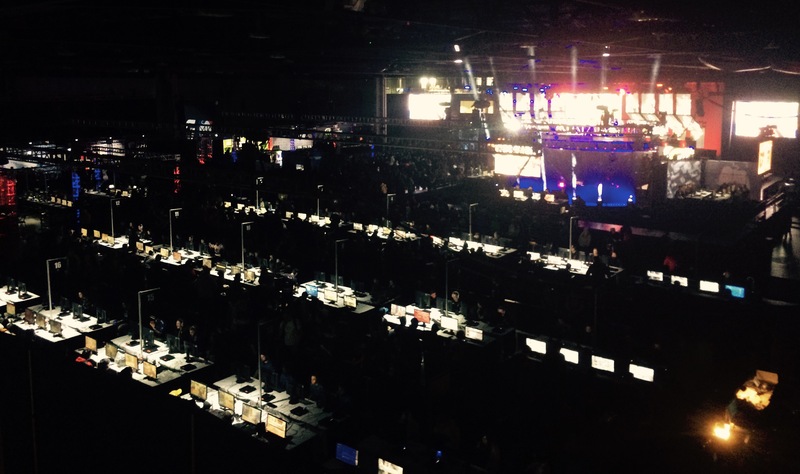 The final throw of the dice for Apex, they have to do something now…and they do! 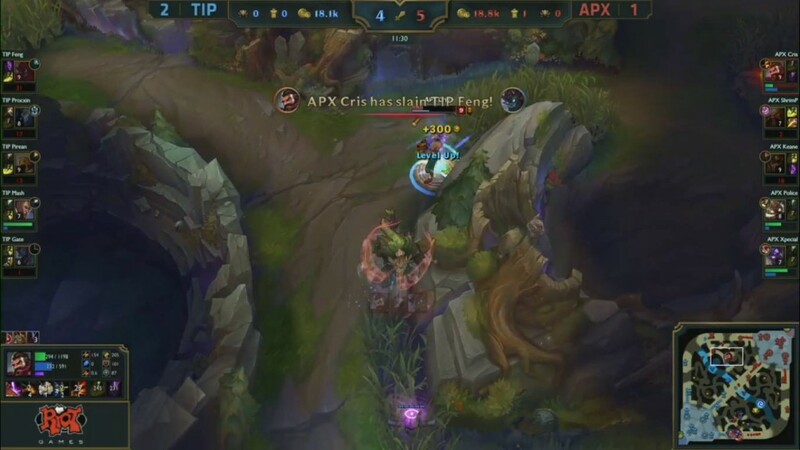 Cris catches out TiP’s Lulu and the rest of the team runs havoc on a Baron buffed TiP. TiP lose 3 members, Apex lost nobody. Apex aren’t down and out just yet. 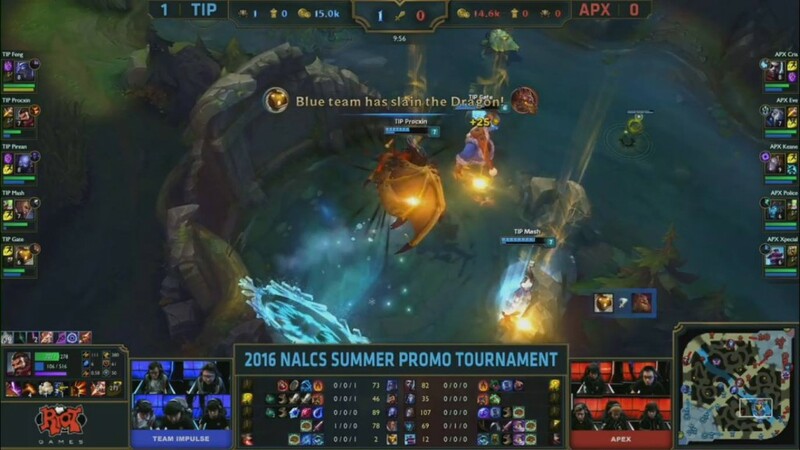 Yet another huge team fight for Apex! 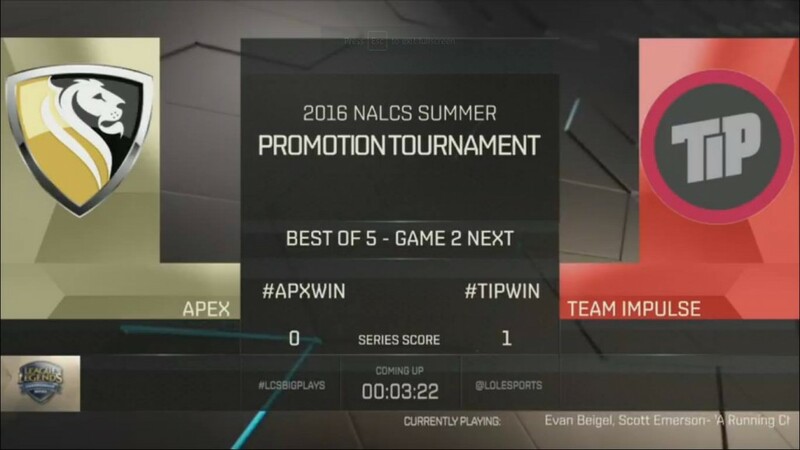 TiP keep on splitting in these fights and Apex take full advantage of this. They take 3 kills and push on to take down the bot tier 2 tower. Apex now have a gold lead and momentum on their side. 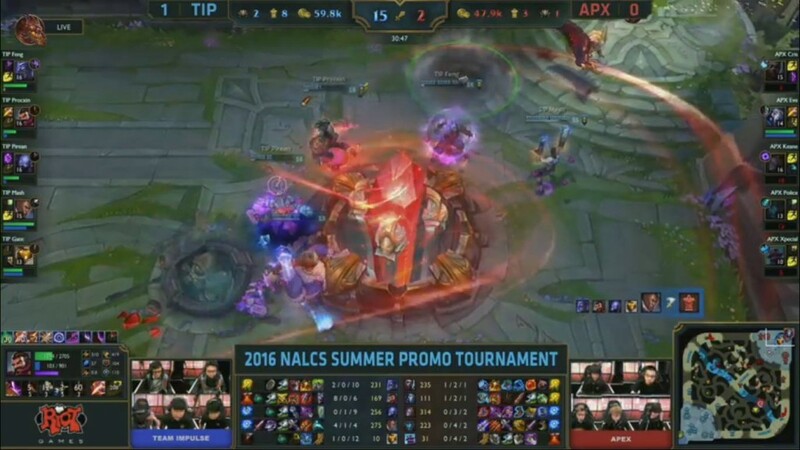 Apex continuing to punish TiP now, and this game looks like it could be coming towards an end real soon. 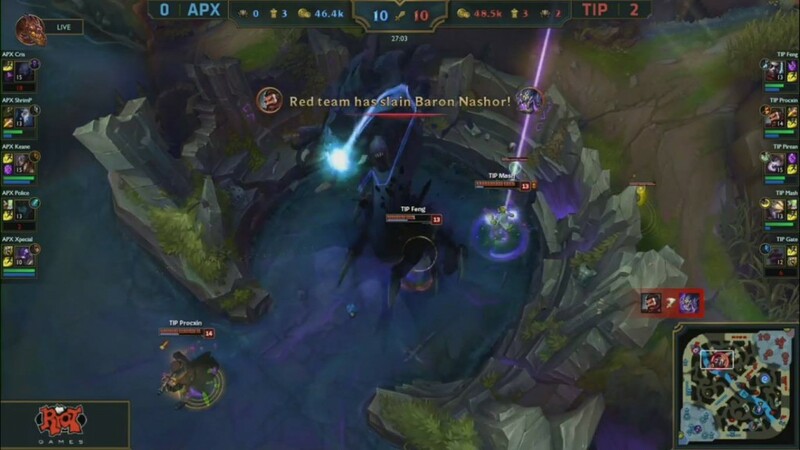 Apex secure the baron, 2 inhibs, and are now up 5K. 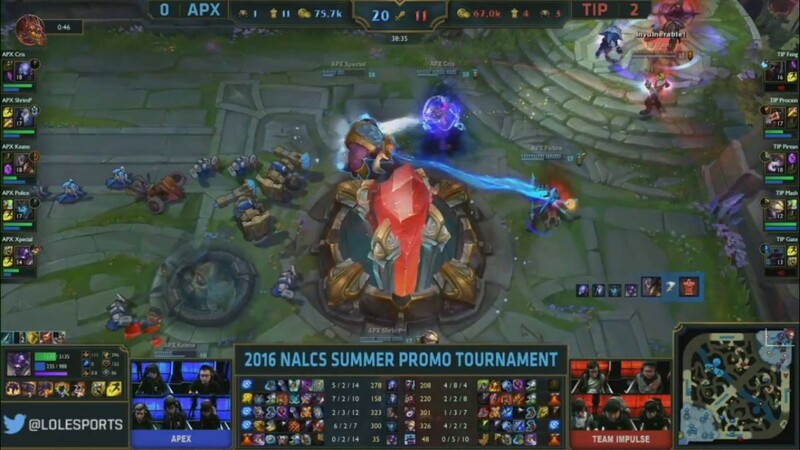 Apex secure an amazing victory in Game 3 to keep their LCS dreams alive. 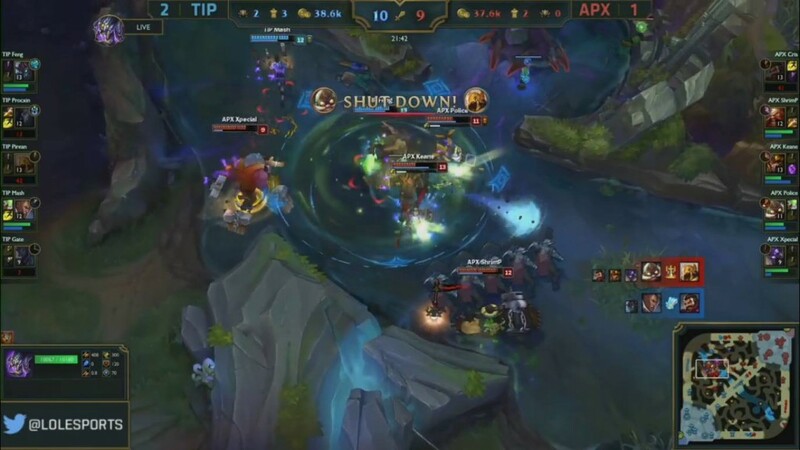 Keanes Twisted fate and Shrimp, who was subbed in for this game, were major factors in Apex winning this game. 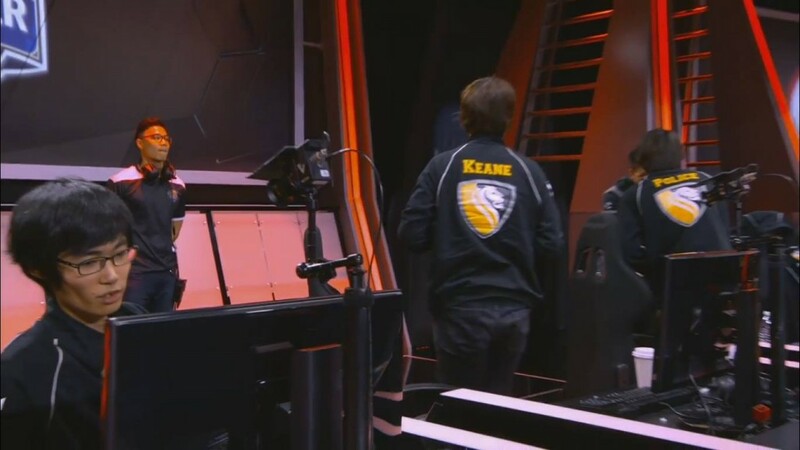 Keane picks up Jarvan for the mid lane – this should be an exciting game! Can Apex take us to a game 5? 5 minutes into Game 4, and you can tell both teams are nervous to make a mistake. Nothing’s happened yet and CS in all lanes are quite close. A fight finally breaks out. Cris overextends in lane and is caught in a 2 v 1 situation. Keane teleports to his safety and Cris manages to get first blood on Fang. Procxain responds with a kill onto Keane. Fights happen all over the map, and they all are in Apex’s favour! 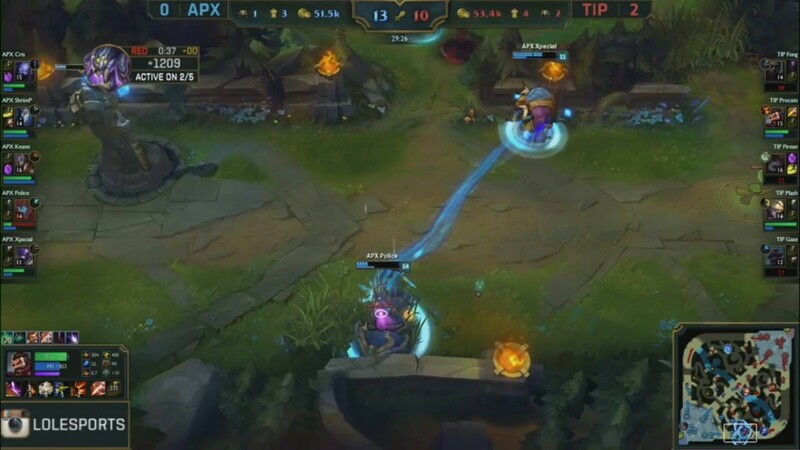 Police manages to earn himself a triple kill after a skirmish in TiP’s red side jungle – and Cris solo kills Feng in the top lane. Advantage Apex. 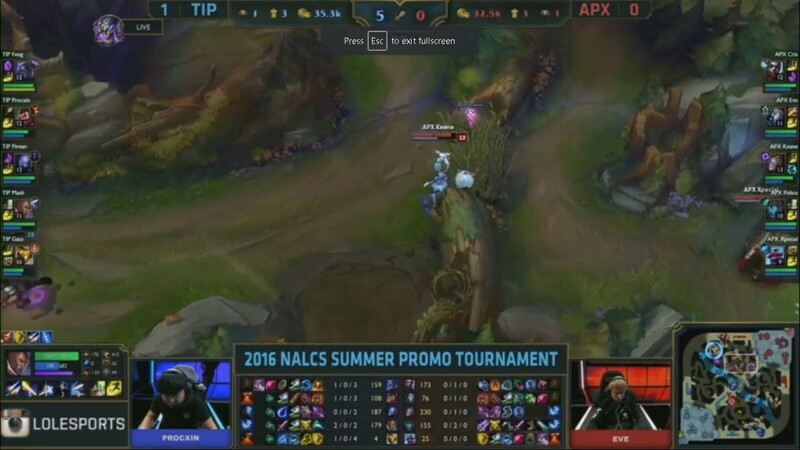 Apex continue to apply pressure over the map and a fight breaks out between Baron and mid. 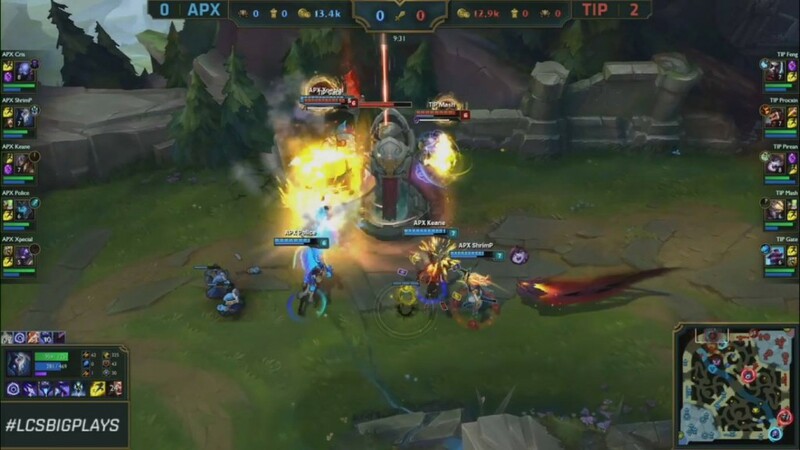 The fight looks to be going in Apex’s favour, but the chokehold in which Apex are fighting in is a place where Azir and his soldiers excells. Pirean picks up a quadrakill. The pentakill was on, but Mash stole it. Scumbag Mash. With TiP in the lead, Apex bait baron. 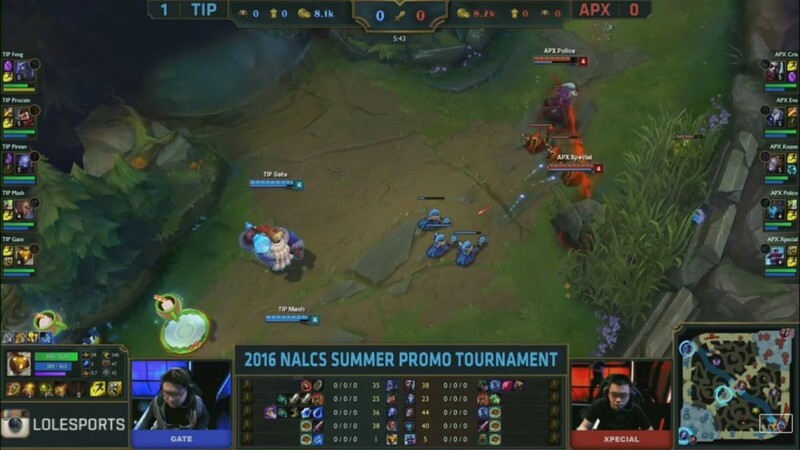 Instead of waiting it out and calling Apex’s bluff, TiP try to contest it – huge mistake. 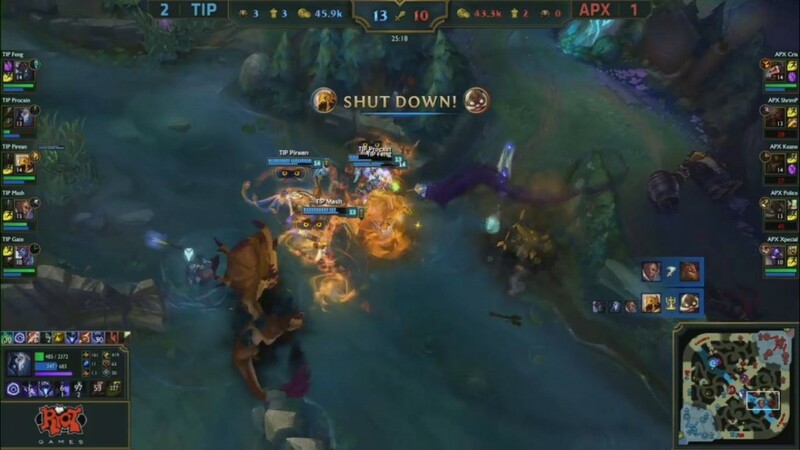 Apex collapse on the Azir that was such a huge factor in the last team fight and take 3 kills to tie the game up on gold. 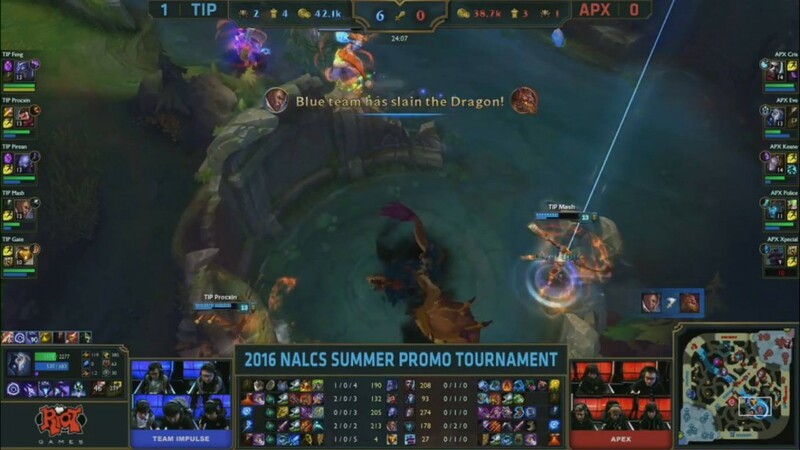 TiP catch 2 members of Apex and take Dragon. Police has…one of those moments – trying to assasinate Procxin and fails – surely gifting TiP baron. Game changer? Yep, TiP take Baron. They’ll look to use this to their advantage and they’ll be many seizes and team fights I predict in the next couple of minutes. TiP closing in here. They take tower and an inhib before recalling. They’ve gained 6,138 gold from that Baron. TiP use their gold lead to push in and take the win. 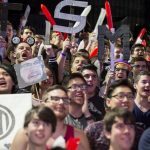 TiP will be rejoining the LCS for the Summer Split. 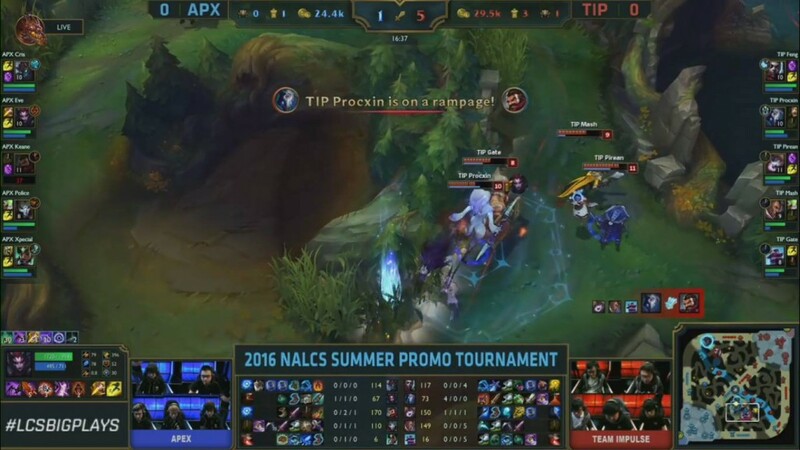 Keane’s Jarven pick didn’t pay off for Apex, but they looked good in their series against TiP. The loss means that they’ll face TDK tomorrow, at 19:00 GMT. 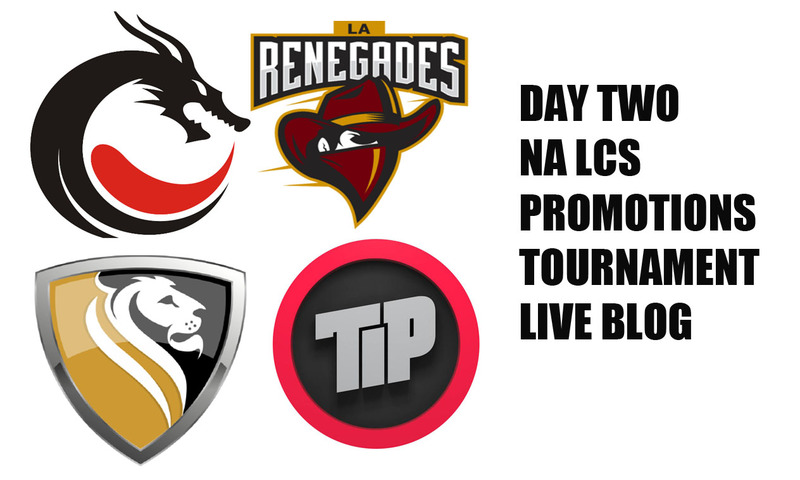 The winner of that game will join Renegades and TiP in the LCS in the Summer Split. Thanks for joining me for NA Promotion tournament Day 2, and i’ll see you tomorrow for another great game!